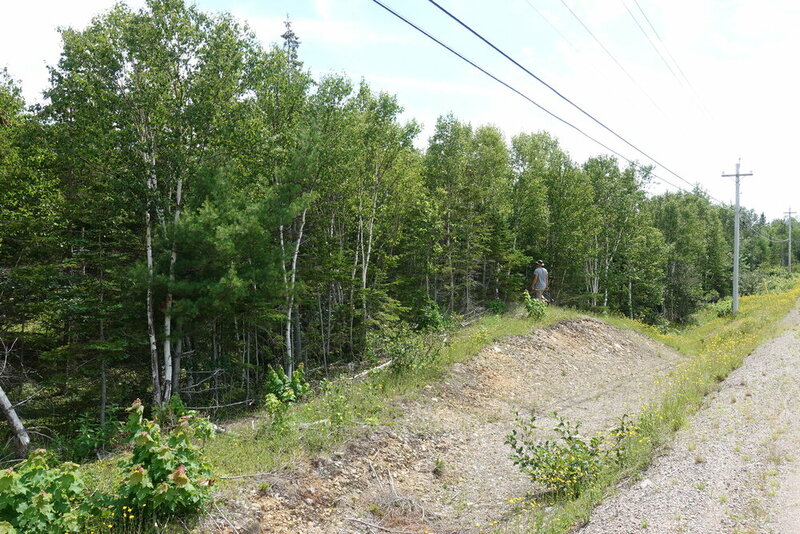 Here is a wonderful opportunity to own a beautiful lot in Cape Breton, Canada. 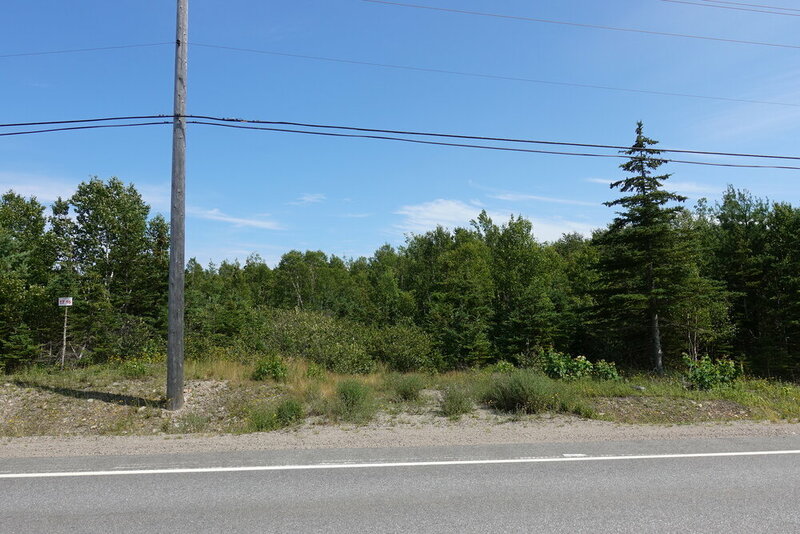 This treed 1.95 acre lot in the oceanside Cabot Shores development offers plenty of privacy, excellent access to Nova Scotia's beautiful coastline and is close to the Cape Breton Highlands National Park and renowned Cabot Trail. Location: Skir Dhu, Cape Breton, in the Province of Nova Scotia, CANADA. Lot 16 along the Cabot Trail. 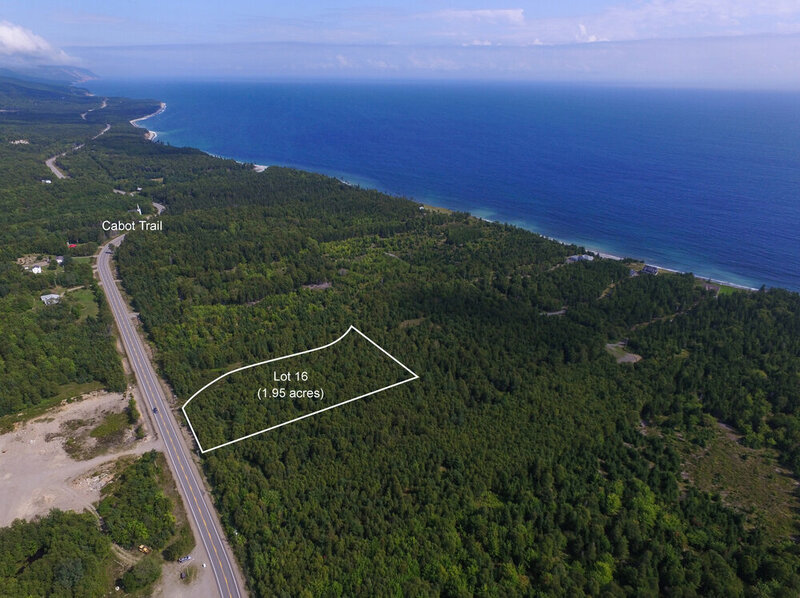 Lot 18 has 131 feet (40 meters) of road front along the World Famous and year-round accessible roadway. Picture taken on Lot 16. Another picture taken on Lot 16. A nice mix of evergreen and deciduous trees - Spruce, Pine, Fir, Birch and Maple. The lot is nicely treed but still easy to walk as there are open areas within. The terrain is more or less level and nice and dry throughout. Here is an air photo showing Lot 16, along the Cabot Trail. 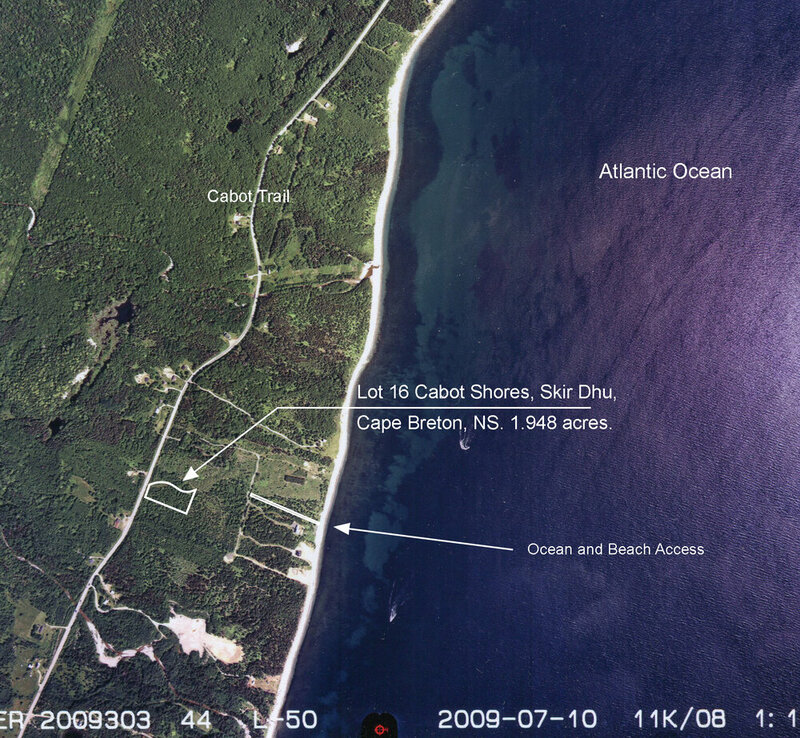 Air photo looking north along the coast of Cape Breton, and indicating the location of Lot 16. A neighbouring home in the Cabot Shores development. Cape Breton's famous Cabot Trail following the rugged coasline. Survey highlighting Lot 16. 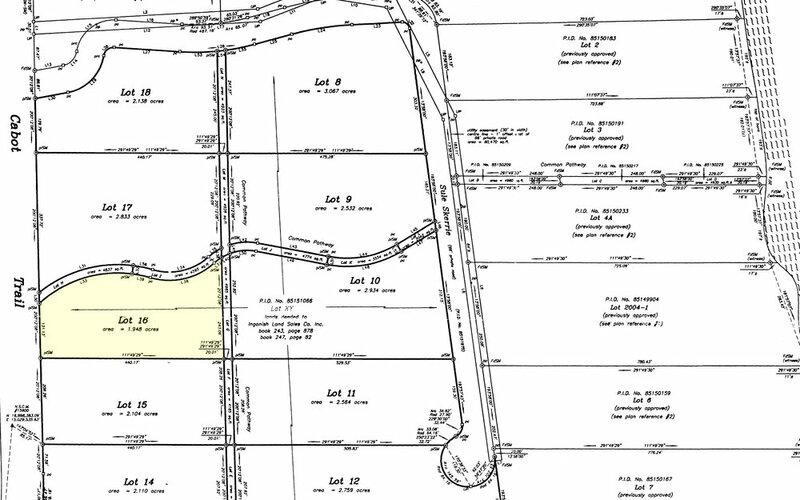 1.948 acres with 131 feet (40 meters) of road front and a depth of 440 feet (134 meters). Air photo outlining the location of Lot 16. The photo also indicates the access walkway to the ocean and beach. Topographic map indicating the location and property boundaries of Lot 16. The ground is nice and dry and is well draining. Elevation of the land is right around 50 feet above sea level. To the west, the mountains reach an elevation of 1180ft. 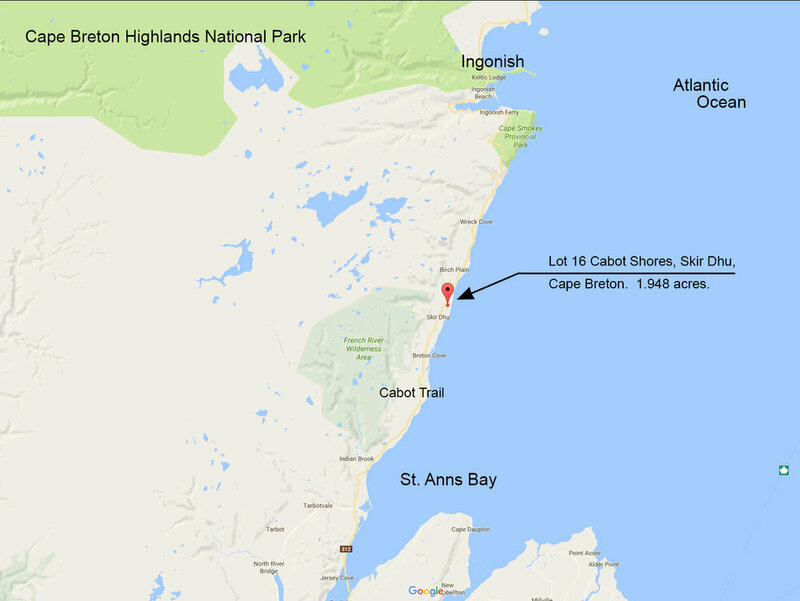 Map showing the location of your land along the world renowned Cabot Trail in Skir Dhu, Cape Breton, Nova Scotia. 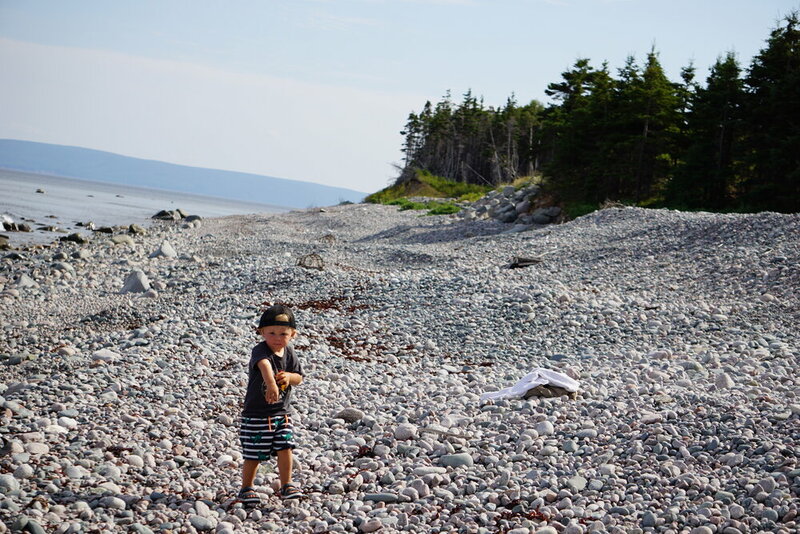 Ingonish is about 30 minutes north of your land. 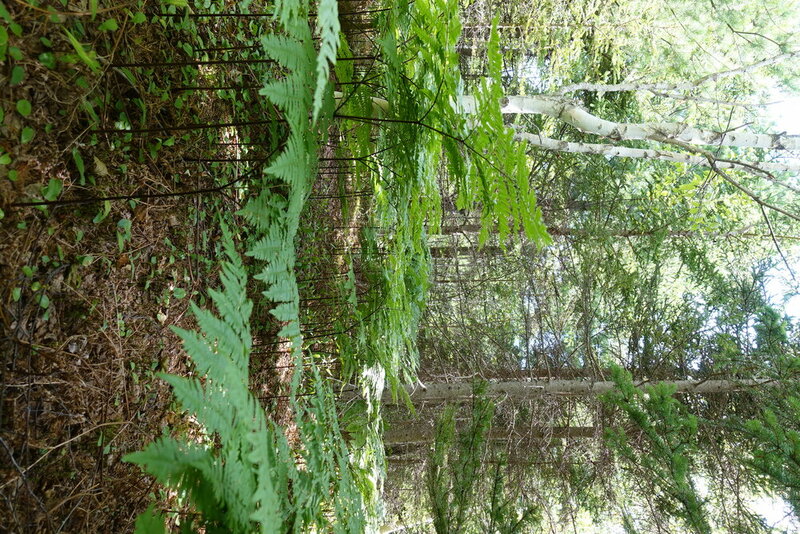 Cape Breton National Highlands Park and French River Wilderness area at your doorstep. Map of Nova Scotia indicating the location of your land in Northern Cape Breton. The land is easily reached in all seasons via an excellent network of highways and roads. 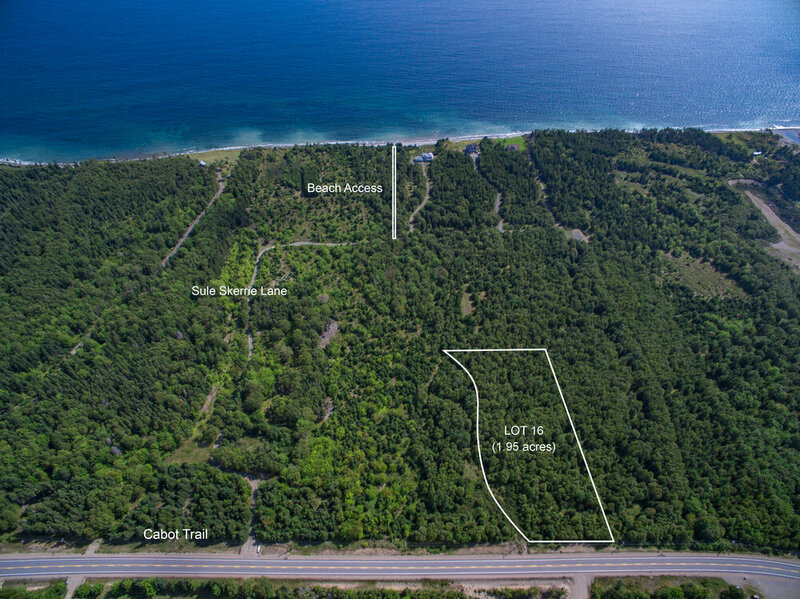 Lot situate in Cabot Shores development, Skir Dhu, in the County of Victoria and Province of Nova Scotia being Lot 16 on survey plan. - 131.13 feet (39.97 meters) road front along the Cabot Trail. - 440.17 feet (134.16 meters) deep. - Great access to the Ocean shore and beaches. - Ideal site for residence and land investment. 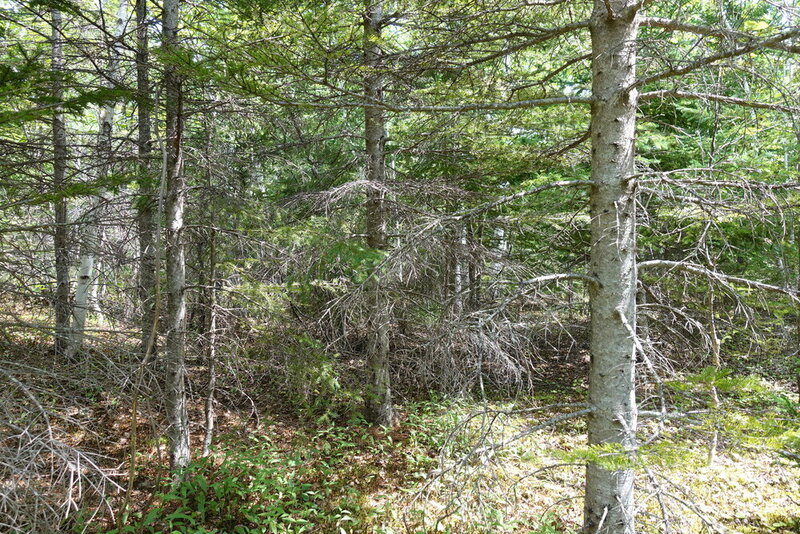 This nice 1.948 acre treed lot in the Cabot Shores Development is ideal as vacation retreat and land investment. Lot 16 measures approximately 240 feet (74 meters) wide and has a depth of 440 feet (134 meters). 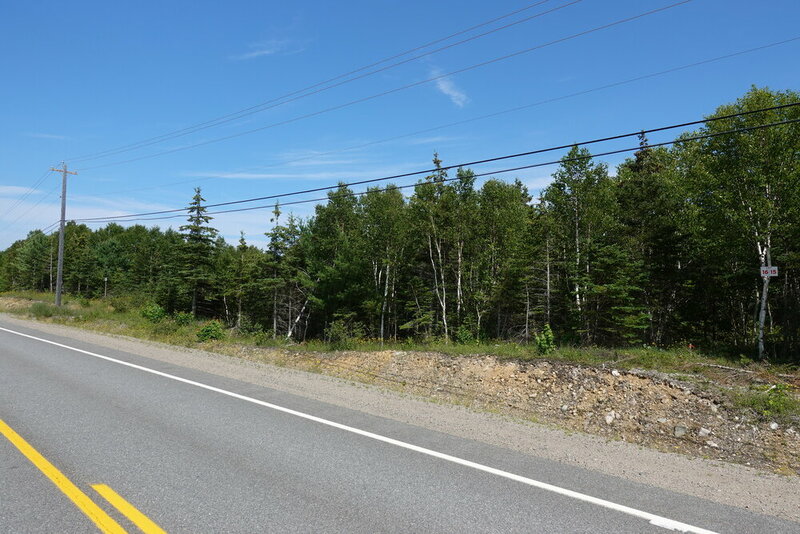 Excellent road frontage along the popular Cape Breton stretch of highway named the Cabot Trail, serviced with electricity and telephone. The lot is more or less level and is dry. 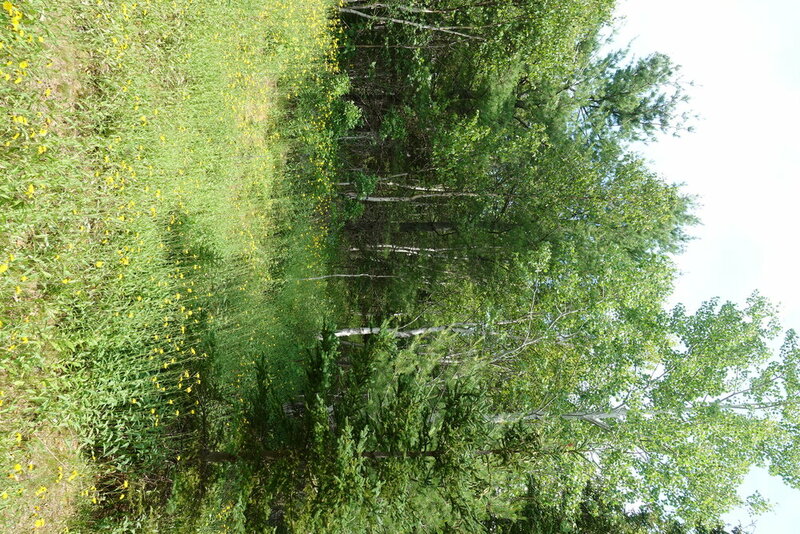 The growth on this lot consists of mostly Spruce, Fir, Pine, Birch and Maple trees. Build when you are ready or leave your lot as it is. There are no requirements to make any improvements to your land! There is a private subdivision ocean access walkway and trail just a few hundred feet from your land. It is just a quick walk to the Atlantic shoreline where you can sunbathe, swim, boat, windsurf, build cruise the beach and search for sea shells and driftwood treasures. Lots of fun for kids! Your ownership here combines the pleasure of excellent water sport opportunities with the enjoyment of a delightful landscape. Excellent fishing. A leisurely walk through your lot and along the quiet subdivision roads or a canoe and kayak adventure along the shores of the Atlantic Ocean will reveal the natural diversity of the area. Moose, Rabbit, Red Fox, Bald Eagles, Kingfishers, Cormorants, Hummingbirds and Seagulls are all commonly sighted here. 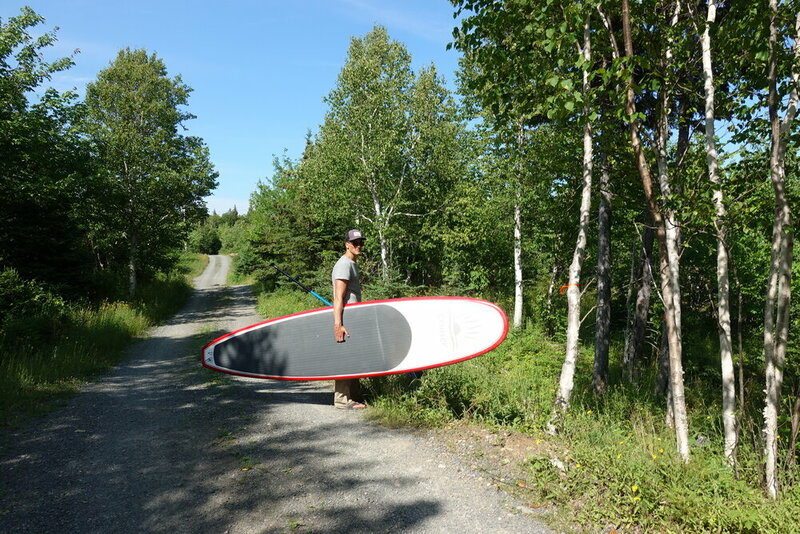 Along the Cabot Trail you will discover your favorite café and restaurant, artisan crafter, hiking and snow-shoe trail, scenic look-out, and artisan crafter. 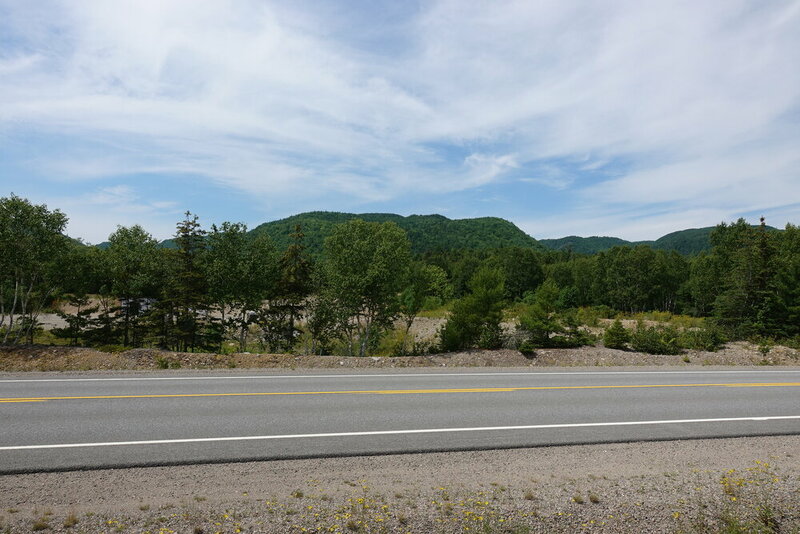 Your land is conveniently located from the full service town of Ingonish offering restaurants, local entertainment, golf, skiing, grocery shopping, health services, handmade crafts and artwork. 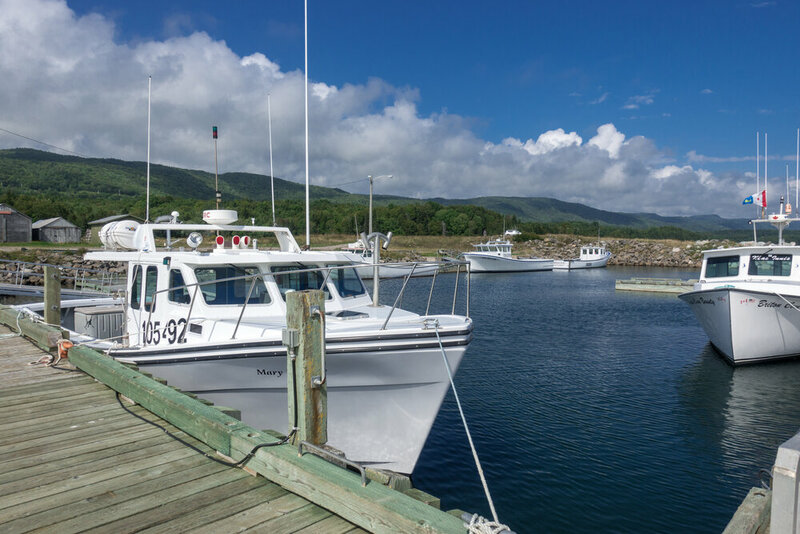 Ingonish is the entrance to the Cape Breton Highlands National Park and home of the Keltic Lodge Resort and Spa as well as the Cape Breton Highlands Golf Course. Term Sale: $17,500.00, payable $1,300.00 cash with order and seventy-two (72) monthly payments of $225.00 each, and interest. Additional 10% discount if paid in full within 30 days: $15,750.00, if paid $1,350.00 down payment with order and the balance of $14,400.00 within thirty days thereafter. Click here to go back to Sule Skerrie Subdivision overview page. Contact us to secure your parcel of land today! Contact us by email at land@wolterland.com, or by phone at (250) 764-8842.